Opened in April 2016, City Garden Hotel offers the best value seaview rooms in town, and what’s a seaside town without a view of it? 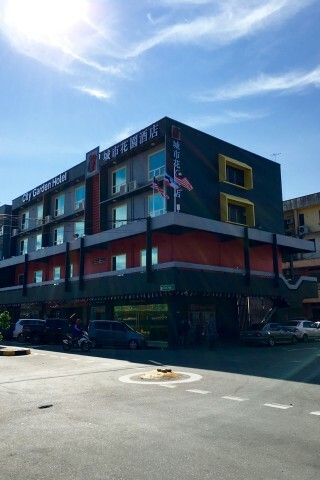 Opposite one of Tawau’s well known seafood restaurants and a step away form the long-distance bus terminal, the modernist lines of the freshly painted grey and rust-coloured four-storey block look smart and contemporary. Average rating 8.2 from 41 reviews. The lobby filled with fake flowers and overstuffed ’70s vinyl lounge chairs may taint your perception, yet the simple rooms are stylish and more in line with the exterior. You won’t have to lug your bags as there’s a lift. Pale wood laminate floors creep half way up the fresh white walls to form the bed headboard in the good-sized air-con rooms. Built-in furniture employs the same pale wood for a homogenised look. Quality beds sport crisp white linen, and there are extra pillows if you need them. A flatscreen TV offers satellite channels, and the WiFI is free. You can make yourself a hot drink and lock up your valuables in a small safe. Gold leaf-pattered curtains complement the natural wood and are thick enough to block the light. Not all rooms offer a sea view, but it’s worth paying the bit extra for one (even if it’s obscured by rooftops), as the city view isn’t great. Ensuite bathrooms are smart, modern and clean: hot showers are curtained, there’s ample benchspace, and you won’t have to pack your hairdryer. 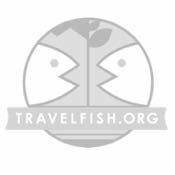 City Garden Hotel offers solid flashpacker value and the handy position is excellent for a weary traveller. If you’d like a few more luxuries with your view, LA Hotel may be more your style. Check rates at City Garden Hotel on Booking.com.